Shares of the following company are expected to see unusual activity on Tuesday. Late on Monday, HP (NASDAQ: HPQ) said that its fiscal fourth quarter earnings jumped 14 percent to $2.4 billion, or 99 cents per share, from $2.1 billion, or 84 cents per share, in the year-ago quarter. On an adjusted basis, the company earned $1.14 per share. Revenue declined 8 percent to $30.8 billion. Medtronic Inc. (NYSE: MDT) reported that its fiscal second-quarter profit surged to $868 million, or 78 cents a share, from $547 million, or 48 cents a share, in the prior-year period. On an adjusted basis, the company earned 77 cents a share. Revenue climbed 8% to $3.8 billion. H.J. Heinz Co. (NYSE: HNZ) announced that its second-quarter net income dropped to $237.3 million, or 73 cents a share, from $276.7 million, or 87 cents a share, in the comparable period last year. On an adjusted basis, Heinz earned 76 cents a share. Revenue increased 2.5% to $2.67 billion. Hormel Foods Corp., (NYSE: HRL) boosted its quarterly dividend to 21 cents a share from 19 cents, payable Feb. 15 to holders of record Jan. 23. 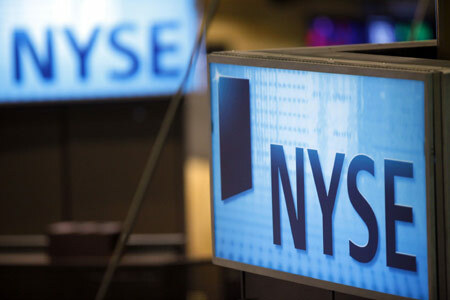 The company also said Tuesday that its fourth-quarter net income increased to $103.9 million, or 77 cents a share, from $67.8 million, or 50 cents, in the year-earlier period. Revenue slipped to $1.68 billion from $1.86 billion. Dollar Tree Inc. (NASDAQ: DLTR) said Tuesday that its third-quarter net income climbed to $68.2 million, or 76 cents a share, from $43.1 million, or 47 cents a share, in the corresponding period last year. Revenue rose to $1.25 billion from $1.11 billion.